I work at a restaurant at LA Live and we serve athletes and Espn personalities daily. I have some awesome stories about some athletes that come through our doors but this one stands out because of the type of personality Stephen A. Smith is. This was last summer during the basketball lockout and Mr Smith had frequently came into our restaurant and would order a very particularly modified hamburger. This was my first time serving him, but I believe that he remembered me from his previous visit because I asked him to settle a bet between a co-worker and I over who Brett Favre played his last game against. After his burger hit the table he was looking around furiously for me. I was running drinks from the well at the bar when he spotted me from about 40 feet away and yelled across the restaurant, "Hey, where's my ketchup?" I had already set the ketchup and mustard in front of him before the meal came out, so I looked at him a little confused and pointed to the ketchup sitting directly in front of him on the table and said, "It's right there." 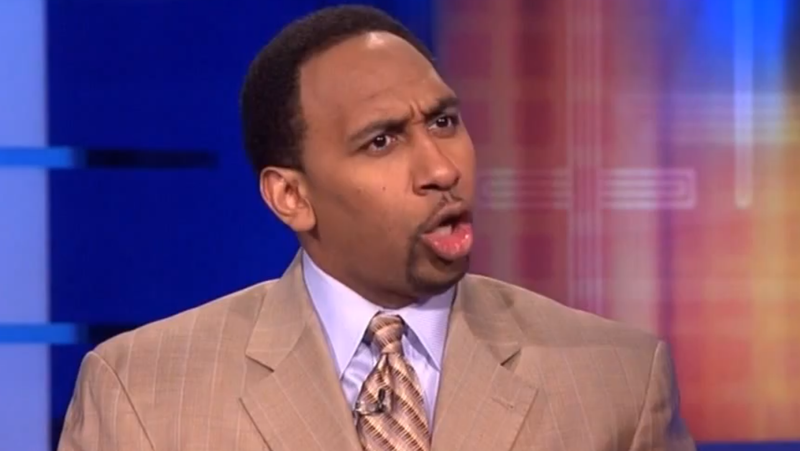 Stephen A. then looked down to the ketchup sitting directly in front of him on his table and said "Oh." He never apologized for yelling across the restaurant or anything, and I honestly wasn't upset about it because it was truly hilarious to see a grown man react that way about ketchup. Thanks for all the great stories guys. Keep up the great work!